The weekend of May 18, 2013 will live long in my consciousness. It will stand for quite some time as the weekend that two of my favorite franchises tried to hit one out of the park… and failed miserably. You can count my “favorite” franchises on one hand. Among them are Doctor Who, Superman and Star Trek (not necessarily in that order). On Saturday, May 18, I went to see Star Trek Into Darkness and then I came home and watched the series 7 finale of Doctor Who, “The Name of the Doctor”. Both let me down spectacularly. Though it shouldn’t necessarily be said… there be spoilers ahead! 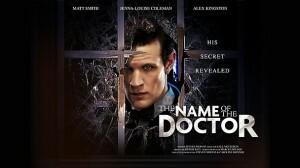 Let’s start with “The Name of the Doctor”. The episode is another in a long line of stories in the Steven Moffat years, so I guess my expectations were low enough to begin with. What stoked the fires were the myriad hints that came out in advance of the show’s airing. 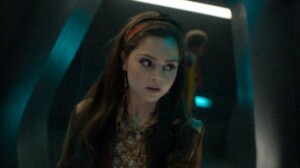 These hints appeared as part of the materials released by the BBC before the episode aired and hinted at the appearances of previous Doctors in the episode. In true Zelig fashion, they certainly did appear and their appearances were certainly squee-tastic to the fans. It is, however, the way in which they were caused to appear which, in my opinion, left a TREMENDOUS amount to be desired. 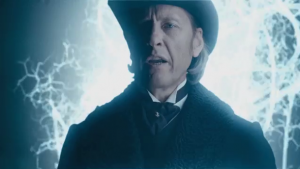 “The Name of the Doctor” finally brings the Doctor to the one place in the universe he must not go. 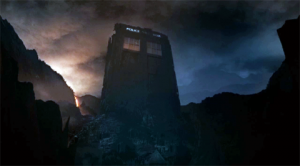 Trenzalore. Here, we discover, is the Doctor’s final resting place amid a battlefield graveyard. While this is hardly the end that one would necessarily wish upon the Doctor, it is not this fact that is so glaringly awful. No. In fact, the truly horrible part is EVERYTHING THAT HAPPENS FROM THIS POINT ON. Where to begin? The TARDIS just keeps getting bigger as it’s dying and yet there is no actual indication that this is happening to anything other than the Police Box? The idea that the Doctor doesn’t have a dead body but instead leaves a “scar” that could allow you to split yourself over his entire timeline and effectively wipe out everything that he has done? Surely the honor of undoing the Doctor’s life could have gone to an enemy with just a little more gravitas than the Great Intelligence? Surely he and the Doctor have met a few times before, but this really hasn’t been borne out in any meaningful way for the audience. I certainly have every respect for Richard E. Grant but, in my opinion, as the Great Intelligence he was wasted once again. And, once again, we’re left with Steven Moffat not realizing or not caring about what time travel stories mean. They can have tremendous repercussions when you go back and change something. Take, for example, the idea that the Doctor went back and erased himself from history, so that no one would remember him. That’s all fine and good, I suppose. However, then you have River Song who was tried and convicted for murdering someone but was then released because the person that she was supposed to have killed never existed. Ummmm… it shouldn’t work that way. She SHOULD NEVER HAVE BEEN ARRESTED IN THE FIRST PLACE. 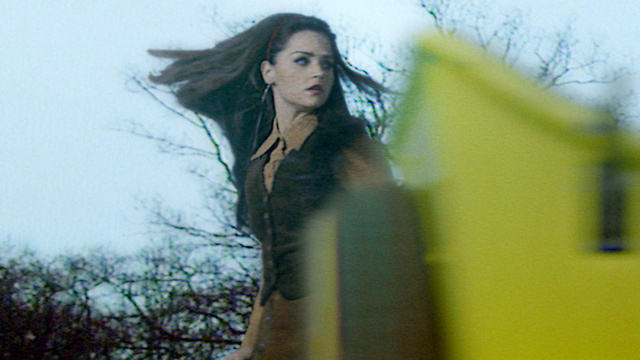 And now you have Clara going back and inserting herself in the Doctor’s timeline, repeatedly helping him out, and yet he only just figures it out by the time he hits his 11th life?!?! IT SHOULDN’T WORK THAT WAY! She retroactively inserted herself into his past, meaning that he should have recognized her from day one. The idea that she says that he only occasionally talks to her is a bit of a stretch! He OBSESSED about her in his 11th life after only seeing her twice. You mean to tell me that after 10 lives he wouldn’t have picked up on this? Surely he’s better than that! “The Name of the Doctor” was filled with fan squee. Unfortunately, it came at the expense of story and common sense. The good moments were really good, but were failed by the rest of the story. And so the episode, on the whole, was a complete dud as is the case with most of Mr. Moffat’s presentations. 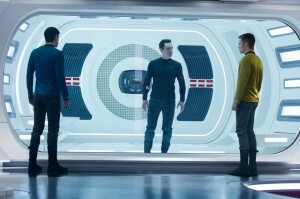 Which brings me to the other major disappointment of my weekend… Star Trek Into Darkness. This film had some incredible potential from the beginning and started off so well. In fact, I could probably say that the first two thirds of this film were top notch. And then… everything (and I do mean EVERYTHING) fell to pieces. Some would say (and have said) that this film was targeted squarely at Trekkies. Especially in the climactic scenes. This may be true for two reasons: 1) It regurgitated all sorts of Trek moments at the audience that were surely recognized by Trekkies everywhere, and 2) It fell to such incredible depths of pandering and low-ball storytelling that it recalled some of the worst of the final TNG-era Trek films. For point #1, it was as though the writers of the film went back to a certain specific Trek film and decided, “Hey, let’s take the big scenes of this film and turn them on their head.” If you’re a Trekkie, this should have the effect of making you groan very painfully out loud because you almost know what’s going to happen before it happens EVEN WITH THE CHANGES. If you’re not a Trek fan, the resolution to this climactic moment will have you facepalming because you can’t believe that even a Star Trek fan would be stupid enough to believe in storytelling this bad. Which brings me to point #2. It has been said before that so many great things are set up in the beginning of this film that are never satisfactorily dealt with on the back end. This is the truest thing that can possibly be said about this film. Much like Superman Returns, the villain of this piece does some incredible damage and yet his comeuppance doesn’t seem even remotely commensurate. In fact, it feels like a bit of a letdown. But more than that, if you don’t see the plot resolution coming from WAAAAY out there, then you must be blind as a bat. The moment our characters were put in jeopardy, I not only knew what was going to happen next, but how they were going to get out of it. And that, by the way, also included a plot hole big enough to drive a truck through. The problem with films like Star Trek: Insurrection and Star Trek: Nemesis is that they were… terrible! The effects were good. The acting was good. The stories themselves just… well… kinda sucked. It was because of this that JJ Abrams was tasked with rebooting the franchise in the first place. And while 2009’s Star Trek did have the occasional lapse into lazy storytelling, there was tremendous potential there to launch the franchise into something that it hadn’t seen since the early 90’s: greatness. 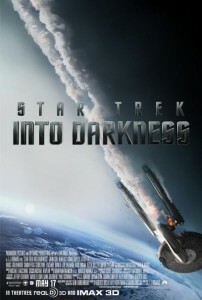 Instead, Star Trek Into Darkness plays on the sympathies of Trekkies who are desperate to be cool and have their precious franchise appreciated by the masses, and by a short-attention-span mainstream audience who, hopefully, is too busy Instagramming pictures of themselves watching the film to notice that the film itself is just plain lazy. Will my future appreciation of either of these franchises have to rely solely on nostalgia for the bygone days of times spent entertained? For now, Doctor Who is free with my cable subscription… so it won’t hurt to see what the 50th anniversary brings later this year. But will Star Trek be like Man of Steel? Will I be forced to turn my back on a beloved franchise which holds no further enjoyment for me? Please someone convince me that I am wrong.